There are certain children’s books that stick in your memory forever. Many of our favorites are revisited with our own children. 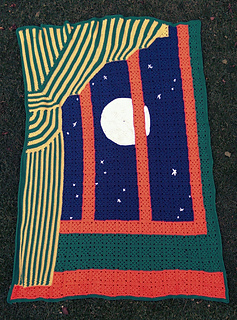 This blanket captures the color and magic of a classic children’s book. It is perfect for snuggling up with your little one and reading bedtime stories. This is the first pattern I have written. 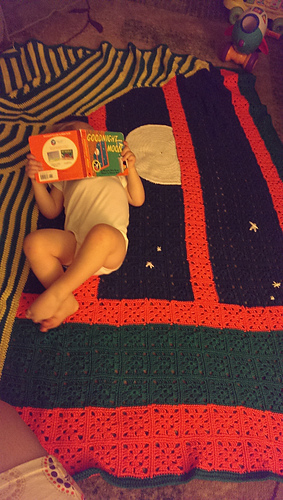 It is not perfect, but it has a crafter’s charm and the kids love it. The finished size is big enough to fit a twin size bed.